As you can see, we launched a Website Design Update! If you like it, give us some feedback. If you found something that can be improved, give us feedback as well! Thanks for all your support by writing a review on RMS, telling a friend about the server, upvoting us on reddit, giving us feedback and making the community a welcoming and funny one. 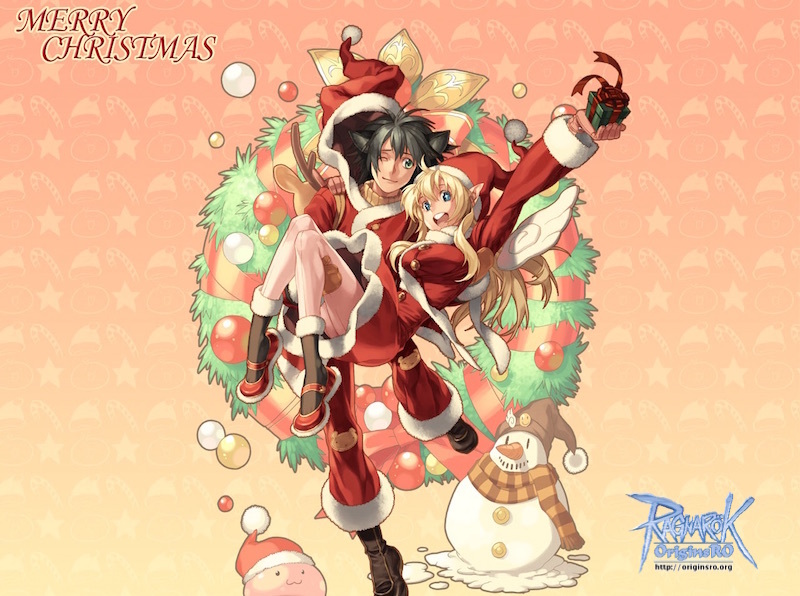 We hope that you all spent your time with your families on Christmas Day and have a nice day. Another content update for OriginsRO is out! During an exploration campaign promoted by King Tristan Gaebolg III, adventurers discovered a captivating faraway city embedded within a mountainous region surrounded by forests. The city, named Luoyang, has its own unique products, invented by its people, that cannot be found in any other land. However, unlike Amatsu or Kunlun where foreigners are welcomed, a considerable faction in Luoyang ostracizes outside cultures in order to protect their own unique culture. It is now possible, though, to access the town by way of ship from the port of Alberta. 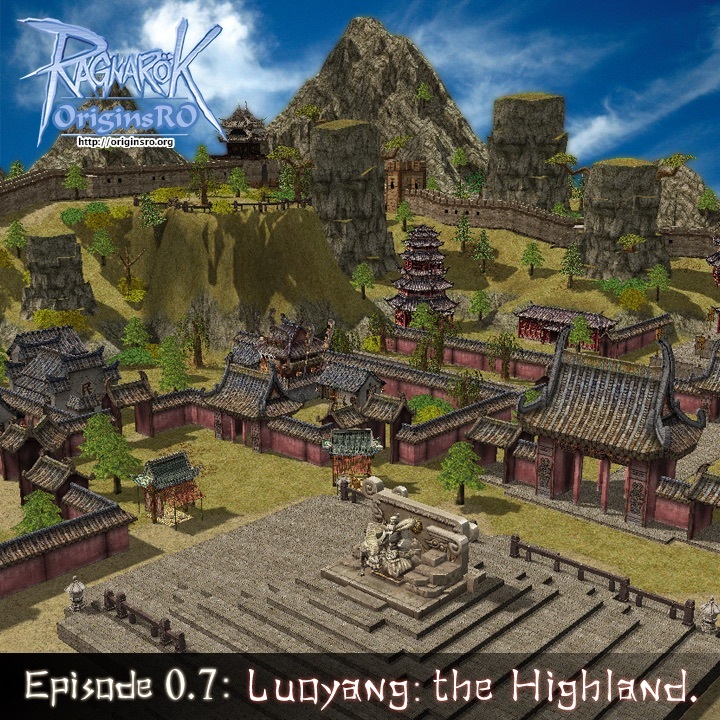 Rumor says that an enormous amount of treasure, comparable to that in the Schwarzwald Republic, lies hidden in Luoyang. Episode 0.7 is behind the corner! This weekend on OriginsRO. Stay tuned. Due to popular demand, WoE will be reinstated on OriginsRO. War of Emperium was removed and the castle closed due to a lack of player interest. The low attendance rates resulted in one guild dominating WoE. Now, after several months of testing and large amounts of player feedback (thanks to everyone who contributed), the Origins staff believes it is time to give WoE another go. 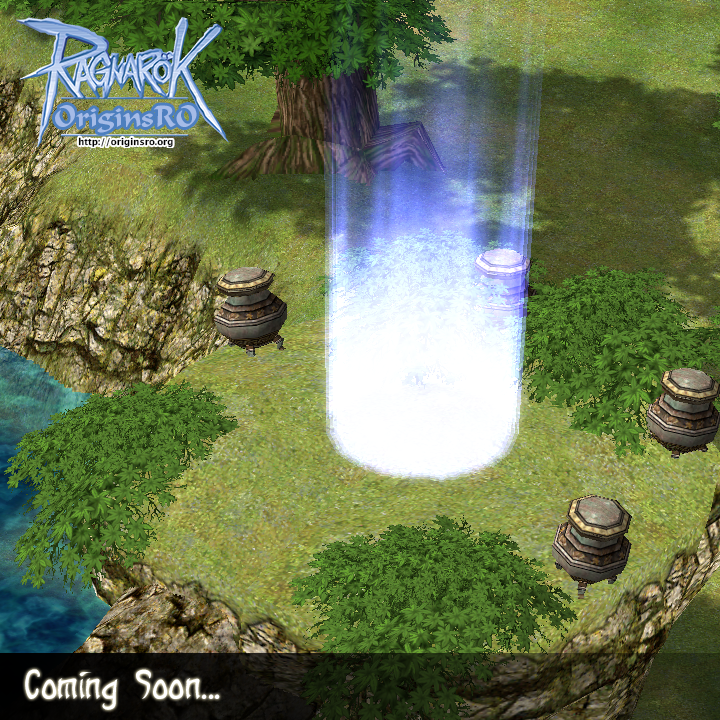 Yet another content update for OriginsRO is out! An exotic looking stranger arrived in Alberta and was escorted to Prontera. King Tristan Gaebolg III came to learn about the culture from where he came: a town upon a giant rock floating high above the clouds. In Kunlun, people believe in a unique religion, and the existence of a hermit who has absolute power over the limitations of Norman existence. The people of this town believe that anyone can become a hermit, an absolute being. Thus they strive to improve their souls to that end. The King ordered sailors and adventurers to find out more about this place. Now, through the efforts of these people, a sea passage has been opened, allowing everyone to travel from Rune Midgarts to Kunlun. 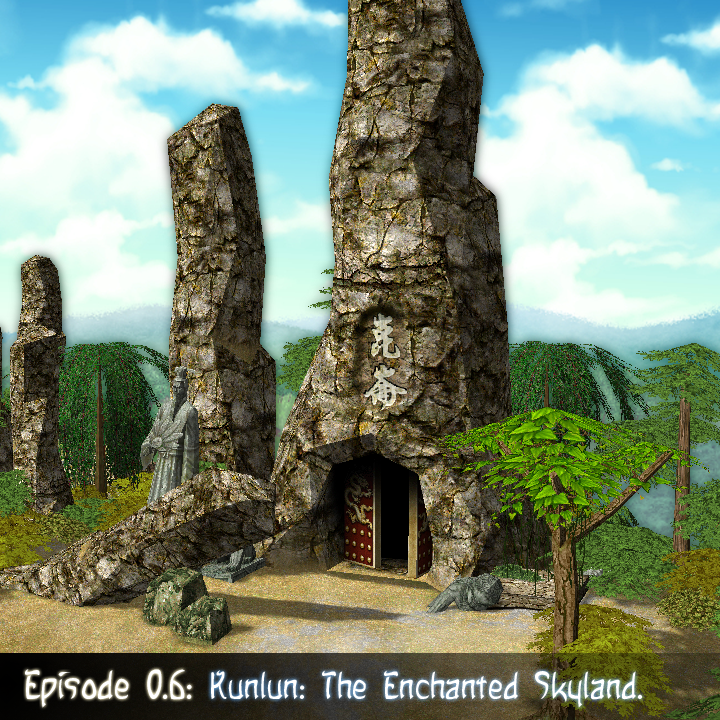 Episode 0.6 is behind the corner! This week on OriginsRO. Stay tuned. 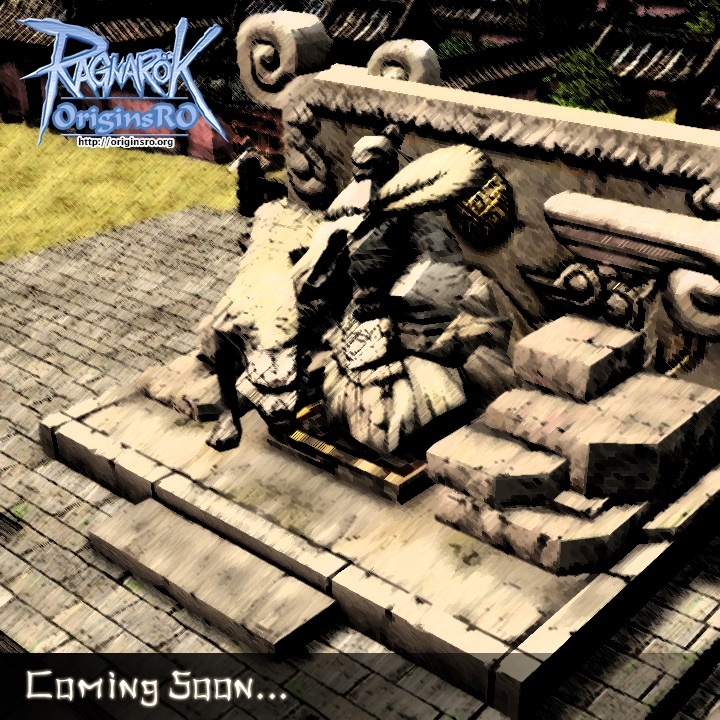 A new content update for OriginsRO is out! Once long ago, sailors from Alberta told an interesting tale about a seaman who suffered through a violent storm. His ship was badly damaged and drifted aimlessly until it eventually washed up on an exotic land, full of strange plants and odd-looking houses. Locals offered him food, water, and shelter. After some time, the seaman was able to repair his ship and return to his home of Alberta. Years later, after he had passed away of old age in his home, villagers found his nautical charts aboard his old ship and brought them to King Tristan Gaebolg III. The king announced that if anyone could gather more information about this land, he would be well rewarded. Since then, many adventurers and brave captains alike have ventured into the sea to discover more information about this land until, one day, an adventurer from the mountain region of Payon, managed to reach the new land and document his route. Over time, people became familiar with the exotic culture of the island. As they learned more about it, they learned of its name, Amatsu. They also discovered a castle to the east named, "Lakeside Castle." This new discovery encouraged many adventurers, who had become weary of the Emperium Wars and the Heart of Ymir, to start adventuring once again. 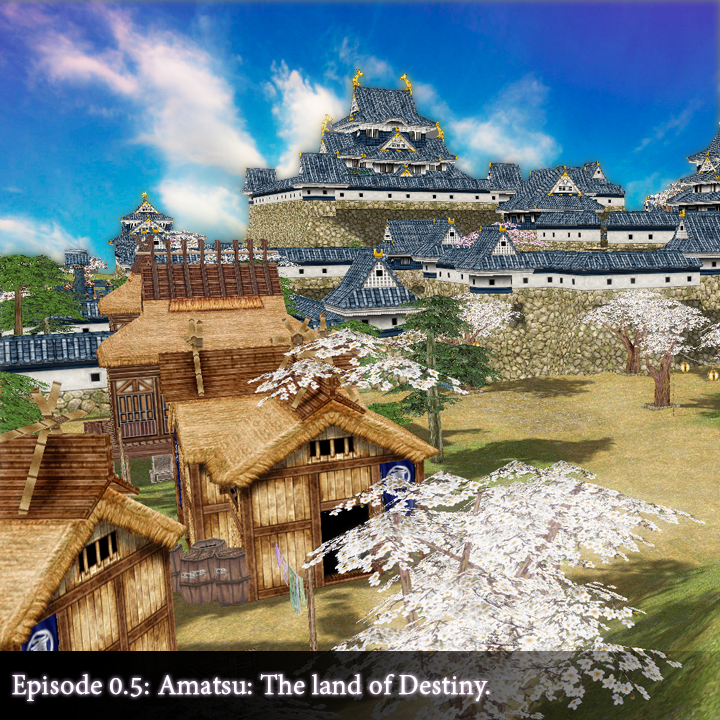 Now, 5 years later, thanks to an agreement between King Tristan Gaebolg III and Ishida Yoshinaga of Amatsu, an official trade route has been opened between the two countries, and it is possible for everyone to safely travel between Alberta and Amatsu.